Today: A warm, hearty lunch that's all about the toppings. Consider the potato. 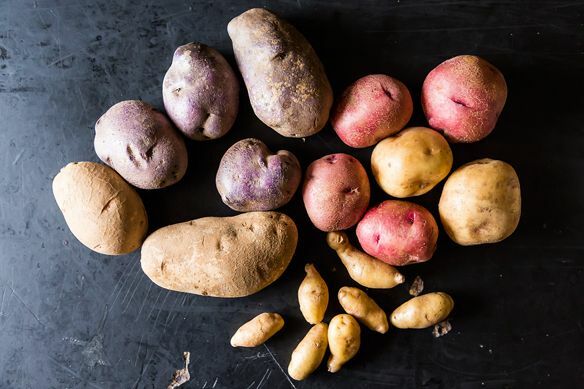 It may not be the most elegant -- it surely won’t win a beauty contest -- but put it up against any other vegetable in a popularity contest, and it will win by a landslide. 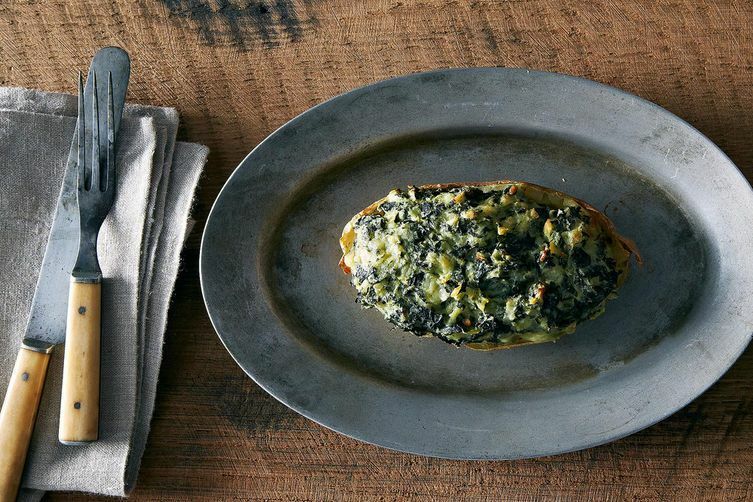 Infinitely adaptable, it’s a crowd favorite, especially when baked. A baked potato -- even a baked sweet potato! -- is a simple (and cheap) pleasure that makes a great lunch. But the real fun comes in the form of toppings. Pack up the little bits and pieces you have lying around your kitchen from meals past to create your own DIY baked potato bar at your desk. Go ahead, express yourself -- after all, lunch should be fun. Bake your potato ahead of time at home -- sweet potatoes and high-starch white potatoes, like Russets, work best. Just rub your (cleaned!) potato with olive oil and salt, prick it with a fork, then bake it at 425° F for 45 to 60 minutes, until you can easily stick a fork into it and the skin is crisp. Once it's cool, wrap it in aluminum foil. Have leftover meat from last night’s dinner? Pulled pork, shredded chicken, crumbled sausage, or bits of crispy bacon are great additions. For meatless heft, bring on the cooked beans and legumes -- black beans, chickpeas, coronas, and lentils all win. More: Here's how to cook your beans from scratch. Cheese makes pretty much everything better, so a sprinkle of your favorite is an obvious good choice. Goat, feta, blue, Parmesan, cheddar, or even a healthy dollop of ricotta; you really can’t go wrong in this department. Yesterday's leftover roasted vegetables do well here, as do cooked greens like kale and spinach. Caramelized onions are also nice -- put some aside the next time you make pasta and your potato will thank you. Sauce! A spoonful adds flavor and keeps things moist. 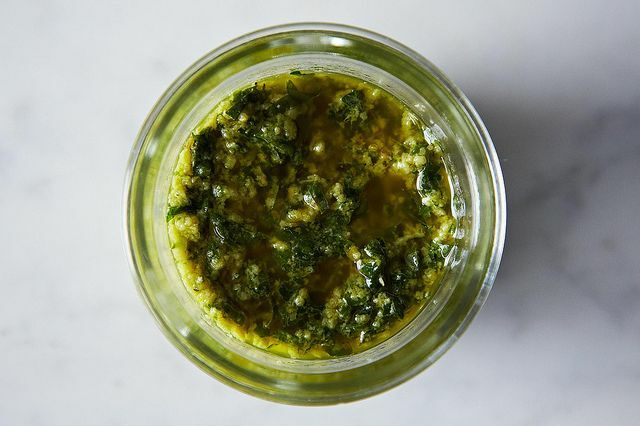 Great choices are pesto, romesco, or leftover tomato sauce. If you want to add some heat, go for salsa, harissa, or Sriracha. Also, tahini pairs beautifully with sweet potatoes. We won’t stop singing the avocado's praises: It adds a smooth, creamy contrast to your baked potato's starchiness. 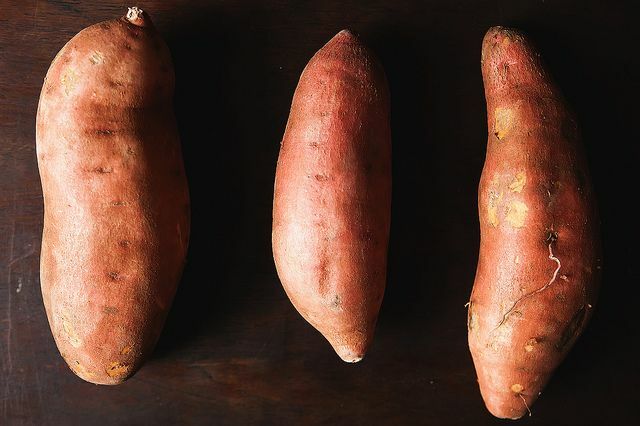 More: Do you know the difference between a sweet potato and a yam? For crunch, a handful of toasted pumpkin seeds, pine nuts, or walnuts goes a long way. Put your spices to good use with a sprinkle of a spice blend like dukkah, garam masala, or za’atar. What's your favorite way to dress up a baked potato? Tell us in the comments! Worcestershire sauce on baked potatoes is delicious.